Doug Berg is the first to tell you he’s not very good at naming companies. “Everything I’ve ever started ended up with a different name than when I started,” he said. “JobKeys became Techies.com, HotGigs became Jobs2Web, TrackIF became MyAlerts” And now, WebClipDrop is ZAPinfo. What Berg lacks in naming, however, he has made up for in dollars and cents. His first success, Techies, was a darling from the ’90s. Jobs2Web sold to SuccessFactors in 2011 for an estimated $110 million in cash. MyAlerts sold to Think3 earlier this year (terms undisclosed). “We hope the name will be much simpler to remember, and our purpose is easy, we help you ‘Zap’ info effortlessly across the web, removing hours of data entry, cleaning, updating, and research, making recruiters and salespeople more productive using our information automation tool,” the company said in a post. Not sure I’m entirely on board with the new name. Anything with “info” in it sounds like a blast from ’90s past and the fact that it didn’t secure the dot-com of the domain makes me cringe. That said, I remember having similar feelings about Jobs2Web, and there are 110 million reasons why that didn’t matter in the end. 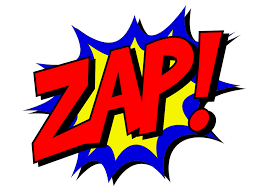 Along with the new brand, Zap announced new funding and new team members. The Minneapolis-based company has raised $1.25 million in a seed round. Investing firms including Rally Ventures, Seven Peaks Ventures, and Great North Labs (along with a few angel investors). The money will help ZAPinfo accelerate growth. New executives include former Jobs2Web employee Suzanne Dunham, VP of sales, Evan Carothers, VP of product, and Ryan Morlock, chief technology officer. Berg was also named full-time CEO after recently selling MyAlerts.